Get ready because the heat is upon us! I have a feeling many of you have pool-lounging and swimming in your near future, and probably some good ol’ fashioned city-sweating. When the time comes you will need some essential waterproof products to survive all of the above. Waterproof beauty products are tough, because you have to test a whole lot of not-so-good products to find your Waterproof Prince. I’ll save you that turmoil and give you some of my favorite waterproof products. Let’s dive right in. Waterproof Mascara. The beacon of all waterproof products, whether you need it to last through that hazy summer wedding, a few dips in the lake, or just an after work gym session, you’ll want one. 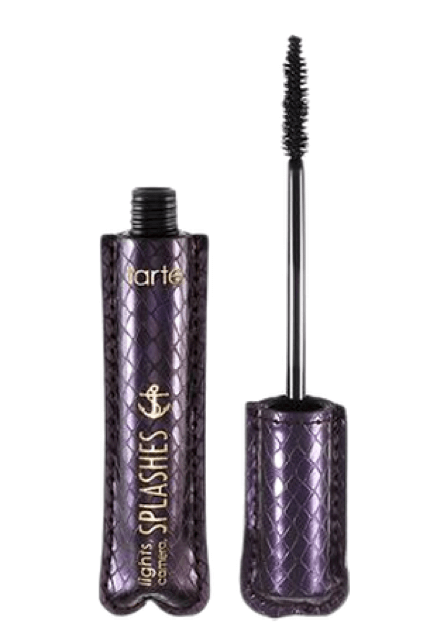 My foolproof way to find good waterproof mascara is to find the waterproof version of my coveted regular mascaras. I’m a Tarte Light, Camera, Flashes girl so I opt for Lights, Camera, Splashes— that gives me all the volume and length I need but keeps the raccoon eyes at bay. Try swatching a few different waterproof mascaras on the back of your hand and then try to wash it off with just water (this goes for eyeliner too)! Cheek & Lip Tint. If you are a no-fuss summer makeup kind of gal then stains will be your BFF. A stain with long staying power is perfect for summer weather. The best part about them is that they are multipurpose! Benefit’s Benetint is long time favorite in the beauty community. It comes in plenty of different shades and doubles a lip tint. Who doesn’t want rosy lips after a dip in the pool? 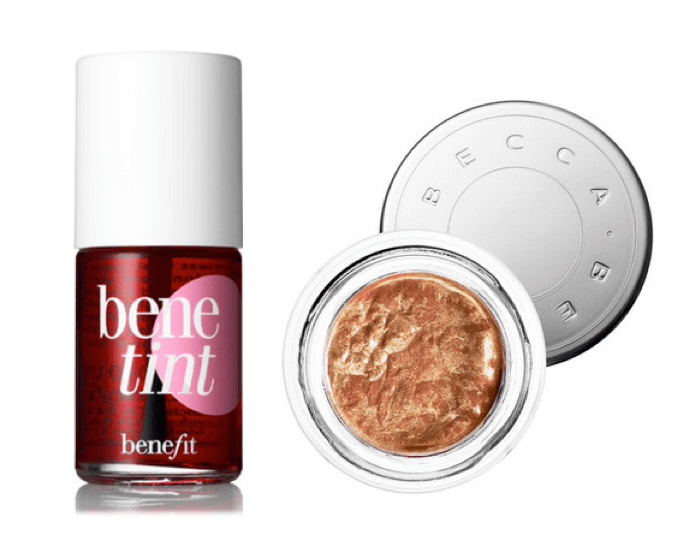 I’m also dying to try BECCA’s Beach Tint Shimmer Soufflé, a water-resistant tint that adds a flush of gorgeous color and shimmer! Sunscreen. The crucial skin care product for summer. If you are going to be running along Lakeshore or sunbathing at the Beaches make sure your sunscreen is water resistant! Keep that skin happy, healthy, and not burnt! FYI Sunscreen can’t be marketed as “waterproof” so make sure it says water-resistant and don’t forget to reapply! Badger Balm is one of my all time favorite organic body care lines. 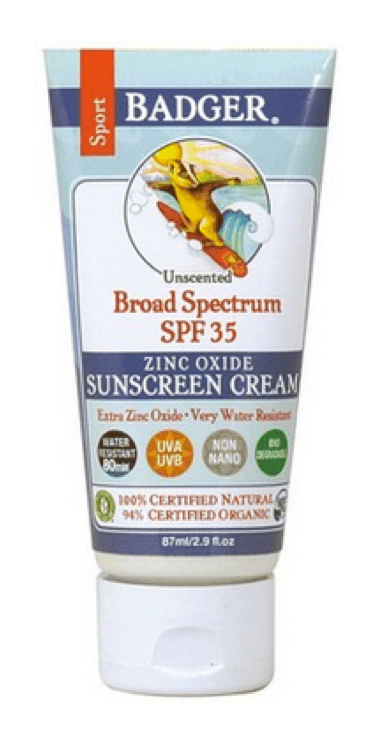 Try the Sport Sunscreen Cream SPF35. It has zinc oxide and is sweat and water-resistant for up to 80 minutes. Base. The first step to making sure your summer BB cream or concealer stays put in a downpour of rain, sweat, or waves is a primer. Just pick for your favorite primer and then choose a trusty BB cream like Too Faced’s Tined Beauty Balm— I’ve had good luck with this product on many ocean adventures.A BB cream won’t smudge as much as a foundation might in the heat. 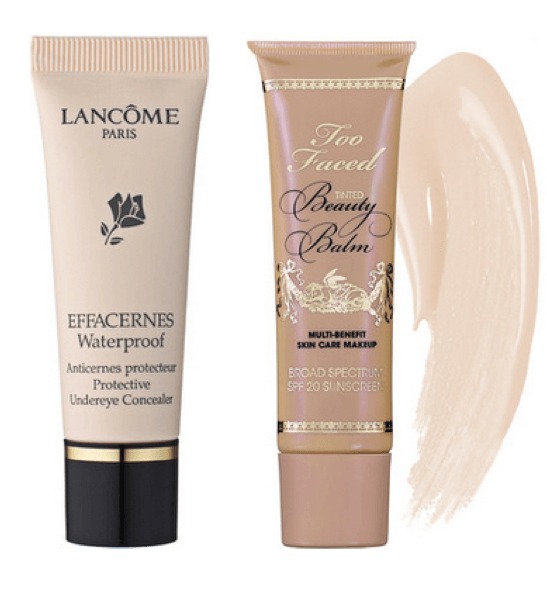 Pair with a concealer like Lancôme’s Waterproof Protective Undereye Concealer for a flawless look all day. Waterproof All Around. 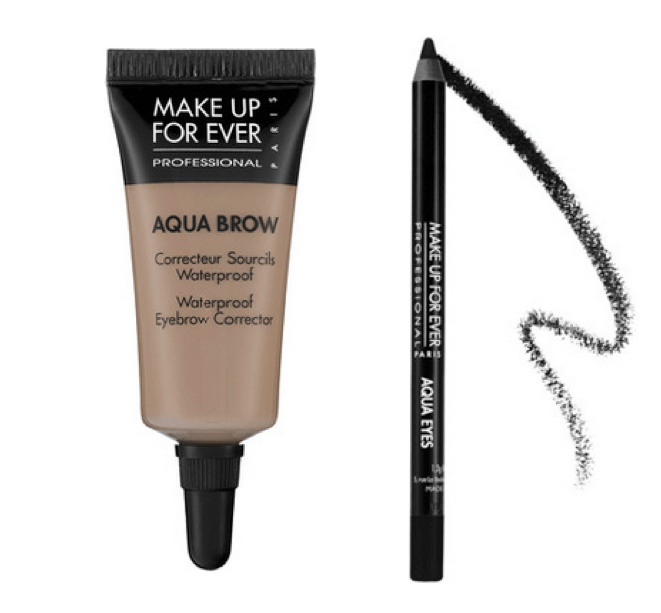 If you are looking for a variety of waterproof beauty products, Make Up Forever’s Aqua line is prefect! There is waterproof liner, blush, and eyebrow corrector. The options are endless and it stays put. My two favorites are the Aqua Eyebrow Corrector and the Aqua Eyes liner. If you want to make your favourite eye shadow waterproof try the Aqua Seal Waterproof Liquid Converter.